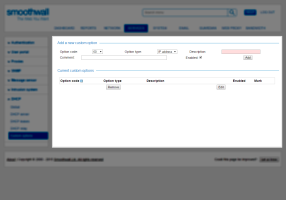 The Smoothwall enables you to create and edit custom DHCP options for use on subnets. 3. Click Add. 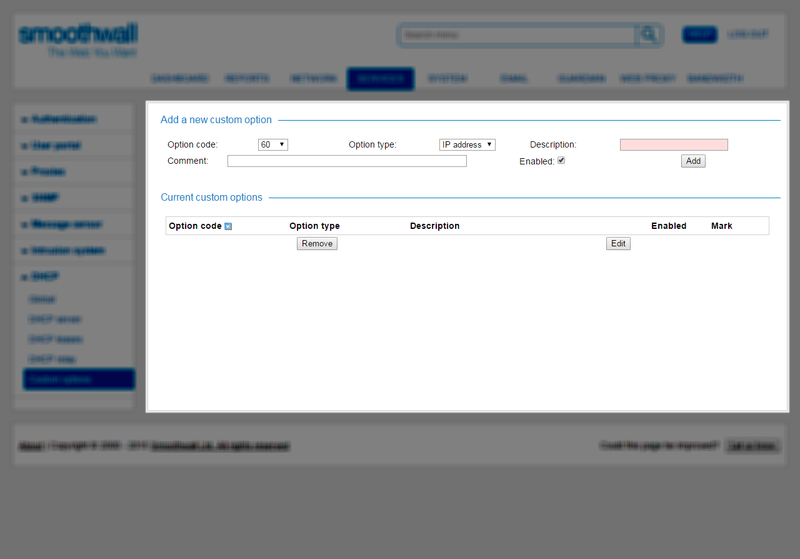 The Smoothwall creates the option and lists it in the Current custom options area.